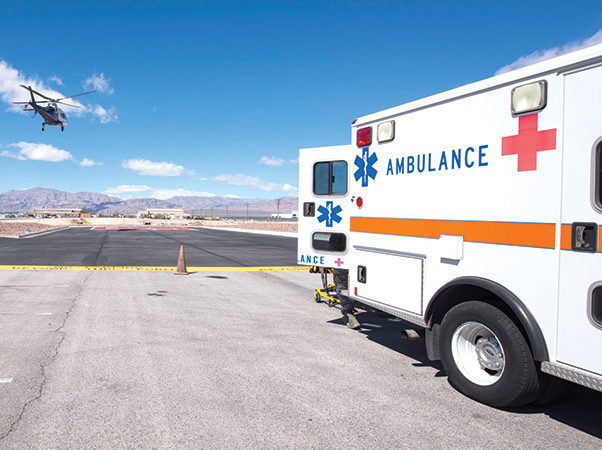 Paramedics with the 99th Medical Group prepare to engage in the Mercy Air exercise on the helipad at the Mike O’Callaghan Military Medical Center, Nellis Air Force Base, Nev. Mercy Air provides safe, rapid transport by helicopter of critically ill and injured patients. 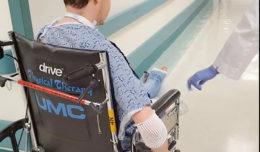 The Mercy Air helicopter touched down near the hospital to simulate a life-saving flight, to increase the emergency room staff’s readiness and familiarize them with air transportation procedures. “The flight helped test our capabilities and allowed our Airmen to practice the procedures required during real life events,” said Capt. (Dr.) Eugene Kang, 99th Medical Group physician. Kang said the exercise was essential to ensure 99th MDG Airmen are prepared for situations they may encounter while deployed. 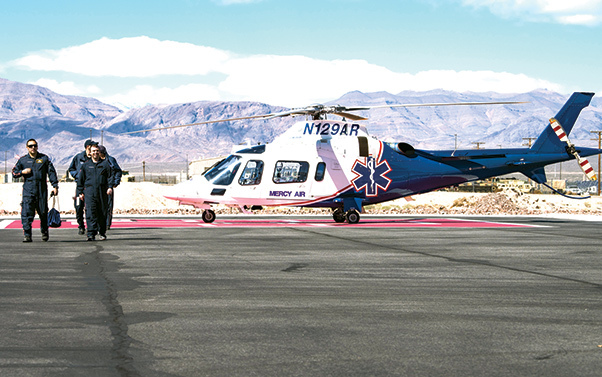 A Mercy Air helicopter prepares to land on the helipad at the Mike O’Callaghan Military Medical Center, Nellis Air Force Base, Nev. Mercy Air is a full-service air medical transport system that has served California and Nevada for 25 years. During the exercise, Airmen had the chance to speak with the Mercy Air flight crew about their experiences and explore the helicopter. “This was a great opportunity for our Airmen to practice their skills and gain experience,” said Kang. After landing at Nellis Air Force Base, Nev., the Mercy Air flight crew were available to answer questions from Airmen at the Mike O’Callaghan Military Medical Center. 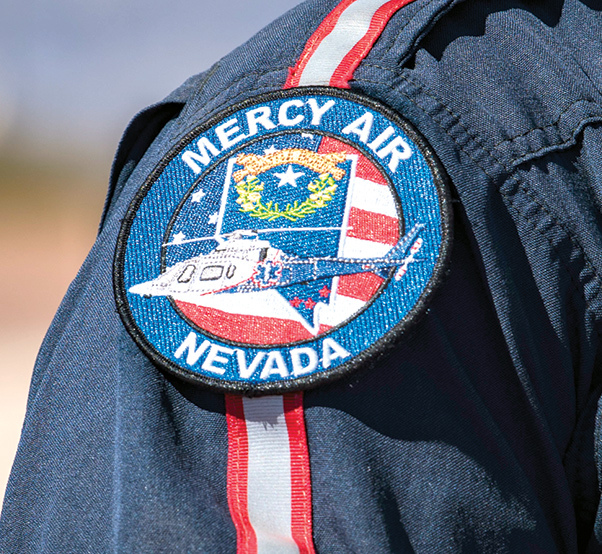 Mercy Air has two bases in Pahrump, one in Mesquite and one in Henderson, making sure a helicopter is always available for emergencies. A member of the Mercy Air flight crew takes part in the Life Flight exercise at Nellis Air Force Base, Nev., in March. 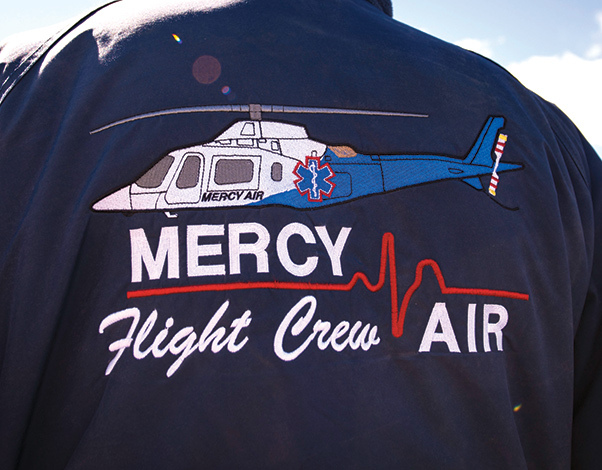 Mercy Air aircraft are available 24-hours a day, seven days a week, with overlapping areas of coverage, making sure a helicopter is readily available for emergencies. Tech. Sgt. 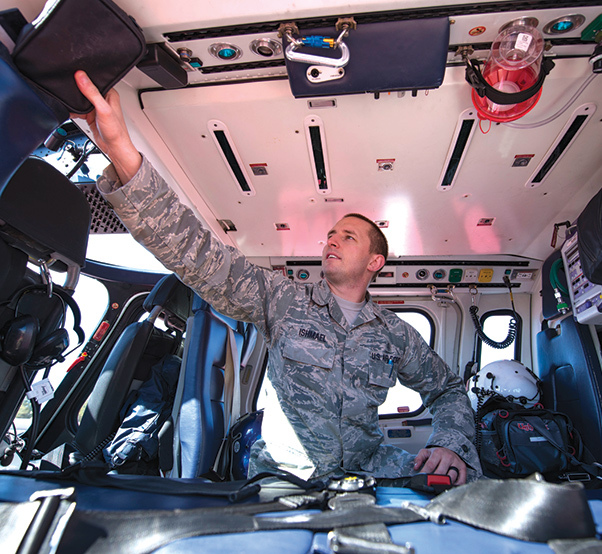 Nicholas Ishamel, 99th Medical Group paramedic, explores the inside of a Mercy Air helicopter on the helipad at the Mike O’Callaghan Military Medical Center, Nellis Air Force Base, Nev. The medical center is in the process of becoming a level 3 trauma center. 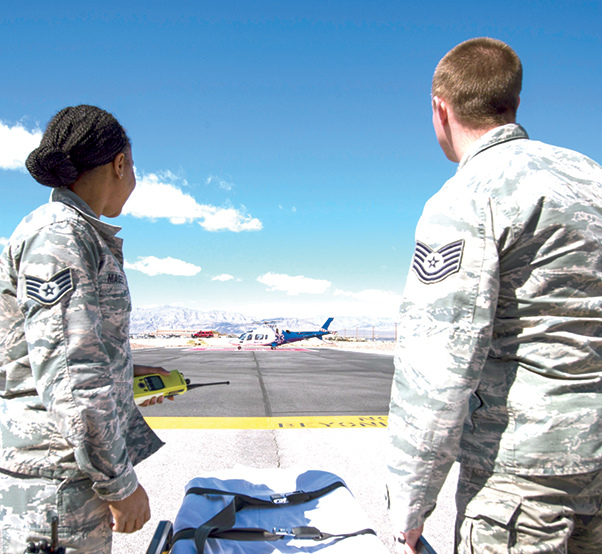 A member of the Mercy Air flight crew speaks to Airmen on the helipad at the Mike O’Callaghan Military Medical Center, Nellis Air Force Base, Nev. Mercy Air is owned and operated by Air Methods Corporation, a provider of air medical transport and experienced air medical operators. 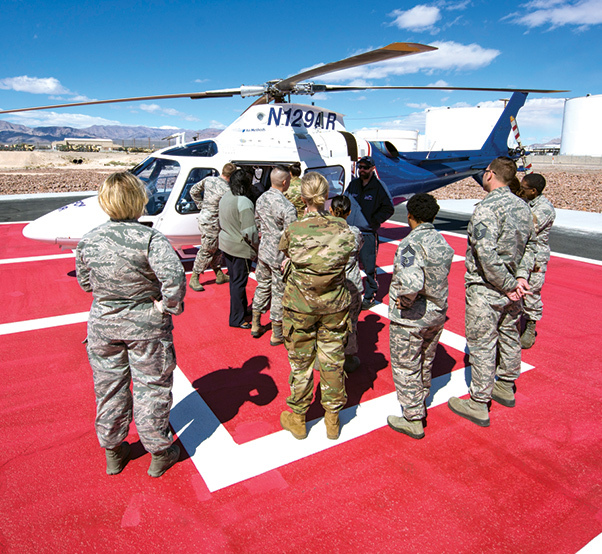 Members of the Mercy Air flight crew make their way off the helipad at the Mike O’Callaghan Military Medical Center, Nellis Air Force Base, Nev. Mercy Air operates 16 helicopters.